With many imitators out there, Chipotle isn't content sticking to fast-casual Mexican cuisine. From quick-fired pizza (Pizzeria Locale) to burgers (Tasty Made), the company has slowly expanded into other concepts. The largest is ShopHouse Southeast Asian Kitchen, with locations in Southern California, Illinois and metro Washington, D.C. - they even had the chutzpah to open an outpost in the capital's Chinatown section! 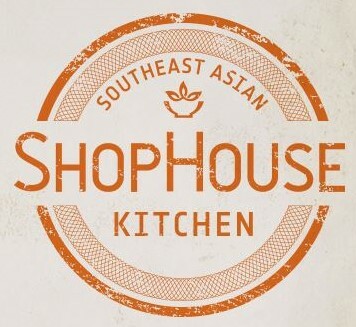 The best part about ShopHouse is that it's extremely gluten-free-friendly. 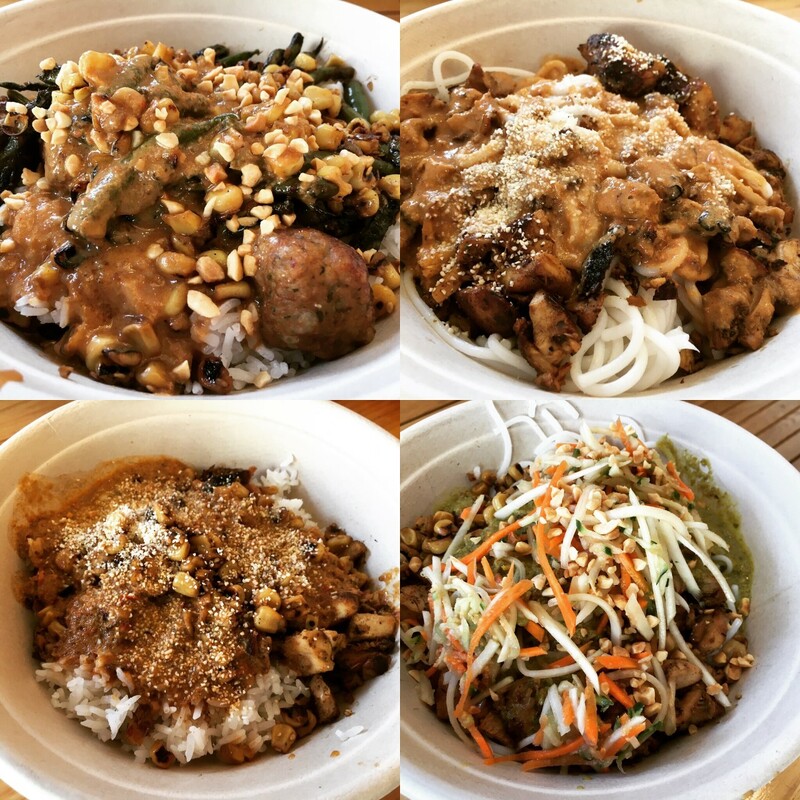 It took a couple years for us to get to ShopHouse, but we had an opportunity last weekend on the way to D.C. when we stopped at the Columbia, Maryland location for lunch. Similar to Chipotle, guests can build a bowl with various ingredients, all of which are gluten and dairy free. (ShopHouse recently added non-gluten-free spring rolls, but they are prepared and handled separately.) Base options include jasmine rice, brown rice, chilled rice noodles or a salad topped with grilled chicken satay, pork & chicken meatballs, grilled steak laab or organic tofu, From there, diners may customize their bowls with a choice of vegetables, sauces of varying spice levels (my favorite was the peanut sauce, but our younger son's red curry was tasty too), garnishes and toppings such as fresh chilies and toasted rice. The friendly staff prepared our orders quickly and even gave us a two coconut rice & mango parfaits on the house. Our younger son, who's as big a fan of Chipotle as anyone, thought that ShopHouse was even better. I have to agree, especially since Asian cuisine is my favorite. I'm not suggesting that you plan a trip around ShopHouse, but if you just so happen to be in one of the aforementioned areas, I urge you to try to dine at one. In the meantime, I'll be waiting with fingers crossed, hoping that ShopHouse is one day nearly as ubiquitous as Chipotle.